The Southern Railway (SR) was a British railway company established in the 1923. It linked London with the Channel ports, South West England, South coast resorts and Kent. The railway was formed by the amalgamation of several smaller railway companies, the largest of which were the London & South Western Railway (LSWR), the London, Brighton and South Coast Railway (LB&SCR) and the South Eastern and Chatham Railway (SE&CR). The Southern Railway inherited a number of ships from its constituent companies, some of which were converted to car ferries when this mode of transport became more common. Such conversions were needed on the French routes, where holidays by car were beginning to become popular. Services to the Channel Islands began in 1924, along with services to Brittany in 1933 and finally Normandy commencing just prior to nationalisation in 1947. The Southern Railway was nationalised in 1948, becoming the Southern Region of British Railways and all shipping activities were eventually brought under the Sealink umbrella. TS Brighton (V), ex Hospital Ship No 31, Brighton – Steel twin screw turbine vessel built in 1928 at Denny’s of Dumbarton, (Yard No 1203) for Southern Railway as a passenger/mail vessel. TS St Helier, ex HMS St Helier, St Helier – Steel twin screw turbine vessel, built in 1925 by John Brown & Company Ltd., Clydebank (Yard No. 510), for the Great Western Railway (British Railways). 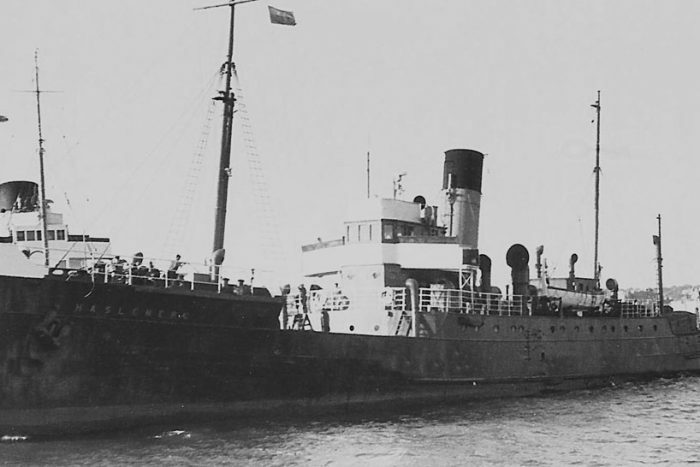 TS Libda, ex Isle of Jersey, Hospital Ship 3, Isle of Jersey – Steel twin screw turbine vessel, built in 1930 by Wm Denny & Bros, Dumbarton, (Yard No 1233), for Southern Railways as a passenger and cargo vessel. Ts Whitstable – Steel twin screw steamer, built and engined by D. & W. Henderson, Glasgow, in 1925 (Yard No 707) for the Southern Railway. Ts Haslemere – ex HMS Haslemere, Haslemere – Steel twin screw steamer, built and engined by D. & W. Henderson, Glasgow, in 1925 (Yard No 719) for the Southern Railway.